To Kill a Machine is a new play about Alan Turing, written by a Welsh playwright Catrin Fflur Huws. 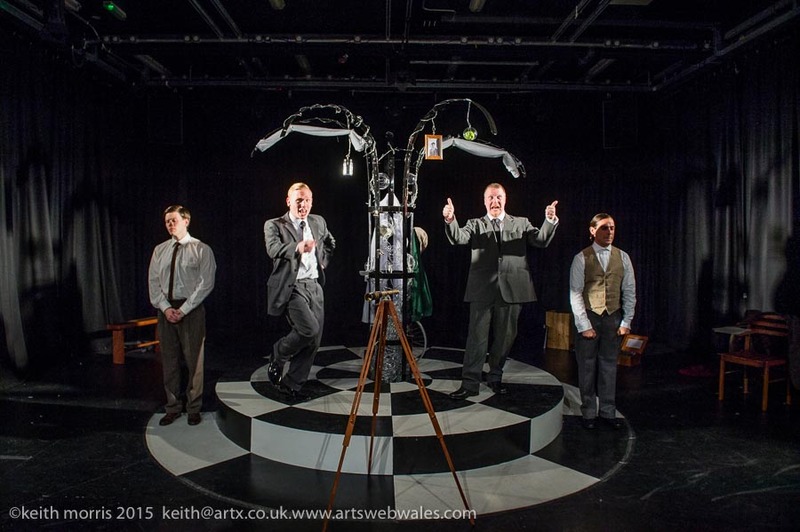 The play toured Wales and London in May 2015 including Arad Goch in Aberystwyth, Theatre Brycheiniog in Brecon, Torch Theatre in Milford Haven, Blackwood Miners Institute in Blackwood, Taliesin Arts Centre in Swansea , The Miners in Ammanford, Theatr Hafren in Newtown and Arcola Theatre in London. 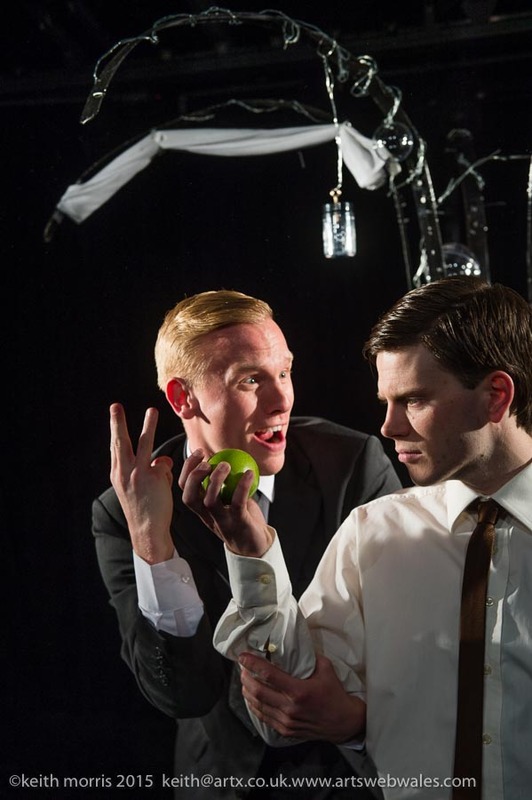 The play also toured to Edinburgh Fringe Festival, Zoo Aviary in August..
To Kill a Machine is a unique and innovative piece of theatre which offers an empowering and heartbreaking story of a man guilty only of knowledge, homosexuality and refusing to live a lie who was turned into a hero, vilified for his sexuality and suicide and resurrected to hero after his death. 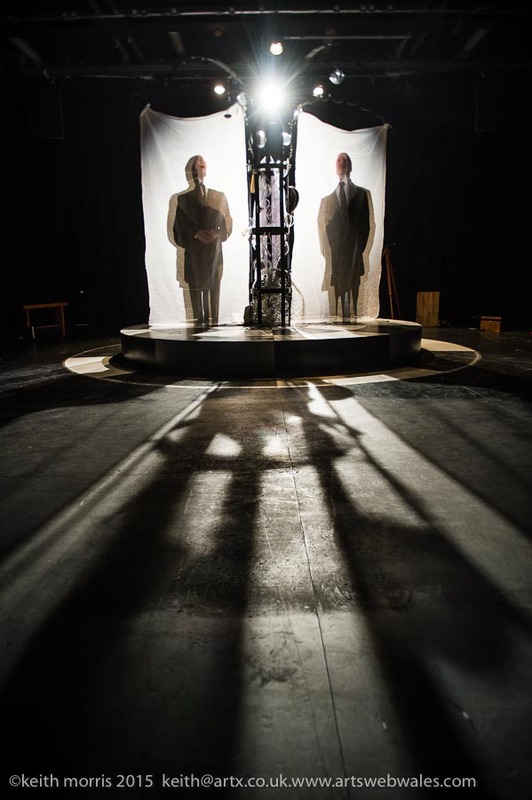 It was originally piloted as a play during the 2012 centenary celebrations for Alan Turing’s birth during which it was presented at a Science Cafe in Swansea University. The centenary year celebrations of Alan Turing and the government pardon brought Alan Turing’s life-story to the attention of more people but it is the recent film starring Benedict Cumberbatch which has finally seen Alan Turing become a household name. However the film has been subject to some criticism for its lack of factual accuracy about Turing’s life and work. To Kill a Machine however has been embraced by computer scientists who have applauded not only Catrin Fflur Huw’s telling of Turing’s life story but the way she has embedded Turing’s own work into the play. The play will be touring in 2016.